It’s a lot like stepping into an art history encyclopedia—at the San Diego Museum of Art, you’ll find works as old as 5,000 BC and as recent as last year, created by artists from all over the world. The Asian Art gallery features pieces stretching from the Islamic world to Japan. You’ll find Persian ceramics and illustration, the earliest known statue of Shiva as Lord of Music, and the silk paintings of Sun Xie. The European collection includes everything from the Old Masters to contemporary painting, with works by famous artists such as Giotto, Veronese, Rubens, Degas and Matisse. The Spanish collection is particularly excellent, including paintings by Goya, El Greco and Zurbarán. Diego Rivera, Mary Cassatt and everyone in between can be found in the gallery entitled Art of the Americas, which features not only both the entire history of American painting and a great deal of Mexican modernism but also work by several Southern California plein air painters. Alongside the art of primitive cultures worldwide you’ll find numerous works by modern and contemporary artists in painting, print and sculpture alike—from René Magritte to Otto Dix. Step outside to the May S. Marcy Sculpture Court & Garden and you’ll find yourself surrounded by 19th and 20th century works by Louise Nevelson, Henry Moore, and David Smith. The Sculpture Court Café is right here too—you can sit down and enjoy a glass of wine or a sandwich while you admire the art. The Museum of Art, perhaps more than any other Balboa Park museum, is a place of continual special events, drawing back visitors again and again. Lectures and concerts occur regularly, and the Film in the Garden series draws summer crowds to outdoor screenings accompanied by food and drink. Every Sunday afternoon is host to Family Drop-In Day, a free art class for children, while two different adult-class series focus on master copies. Culture & Cocktails is a popular evening combination of exotic flavors and themed art that takes place a few times a year, while Art Alive, each April, showcases floral arrangements inspired by the works on display. 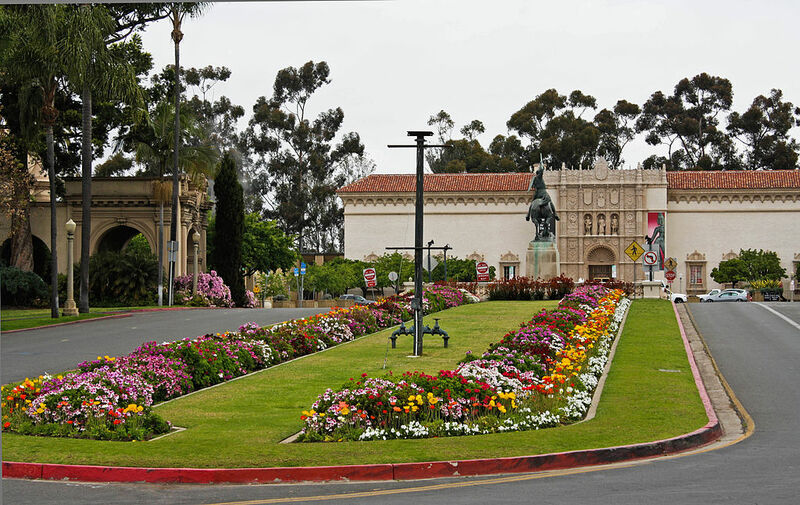 The museum can be found at 1450 El Prado, San Diego, CA 92101.